Words are among the most powerful weapons at our disposal. They have the potential to heal, inspire change, nourish our souls, and ultimately mold society's perceptions. But they also have the power to cause irreparable harm. Addict. Junkie. Druggie. Thief. Bum. Loser. In an instant, a single word can label a person with an unjust stereotype and perpetuate the vicious cycle of stigma. Addiction affects 23.5 million Americans every year. Sadly, only 11 percent receive the treatment they so desperately need. But why? While access and cost are barriers to treatment, public perception and stigma remain two of the biggest obstacles. The guilt, shame, judgment and isolation that can be felt by an individual struggling with addiction can make asking for help nearly impossible. Only 11.2% of individuals struggling with addiction in the U.S. will receive treatment. The path toward a more accepting tomorrow must start today. And it starts by changing the way we talk about addiction. We need a powerful message to catalyze this change: We challenge you to create a 1-3 minute video that inspires those struggling with addiction to seek treatment, while reducing the stigma associated with the disease. Video submissions open on February 23, 2016 at 12:01 am PT and close on May 23, 2016 at 11:59 pm PT. Two winners will be selected. The People's Choice Award will go to the video that receives the most votes by the public. The Judge's Choice Award will go to the video that receives the most votes by a panel of judges. Register to participate in the Recovery Brands LIVES Challenge on HeroX. You will have three months to create a 1-3 minute video (multiple submissions per individual or team are permitted) that will inspire those struggling with addiction to seek treatment, while reducing the stigma associated with the disease. Upload your video to YouTube or Vimeo. This will help you to share your hard work. This makes your video optimized for use on the web. Copy the YouTube or Vimeo URL from step 3 and paste it in your HeroX campaign profile. Subscribe to our email list to get occasional updates about the campaign and the announcement of the $5,000 Winners! 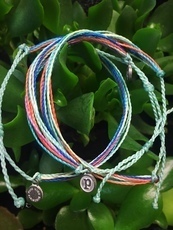 Recovery Brands is donating 50% of each bracelet to non-profit organizations with a focus on reducing the stigma associated with addiction and behavioral health disorders and aiding in the addiction recovery process. Video submissions must be made online at herox.com/EndTheStigma on or before May 23, 2016. Before you make your submission, please read the Official LIVES Challenge Rules. Please reach out to LIVES@recoverybrands.com and we'll get back to you! Challenge guidelines are subject to change. Registered competitors will receive notification when changes are made, however, we highly encourage you to visit the LIVES Challenge HeroX page often to review updates. Want your company featured here? Email us at LIVES@recoverybrands.com for more information on supporting the challenge!